In a large skillet over medium heat, cook bacon. Transfer to a plate lined with paper towel. Drain half the bacon fat from skillet. In a large bowl, whisk eggs with chives and garlic powder. Season with salt and pepper. Add to skillet and scramble. Line a large baking sheet with parchment paper. Unroll crescent rolls and piece together in a circle, slightly overlapping. 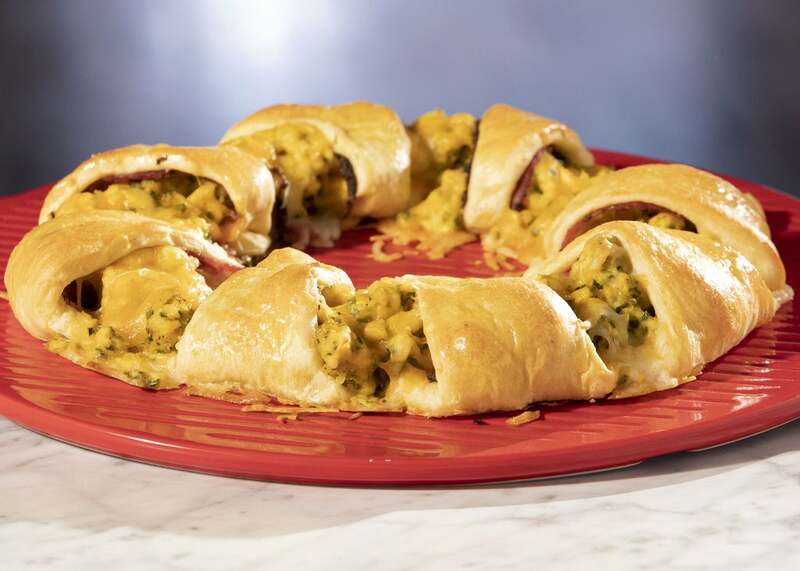 Place a slice of cooked bacon on top of each crescent roll. Top ring with cheddar and scrambled eggs, then with mozzarella. Season with more salt and pepper. Gently roll up. Brush with egg wash and bake until golden, 10 to 15 minutes. Garnish with chives and serve.